AEP's highly secure cryptographic equipment is deployed worldwide in critical systems to provide the assured digital signatures and key generation and storage mechanisms that are the cornerstones of cyber security. Where cryptographic services are used to protect an information system, trust and integrity are derived from the security of the underlying signing and encryption keys. This makes protection of these keys critical to the overall trust and integrity of a system. Cryptographic key material can be stored and protected in a variety of ways and on a variety of media including software, smart cards and USB tokens. However, where protection is critical, the level of security offered by these solutions may not always be enough. What connectivity does the HSM offer? What key storage capability does the HSM offer? What tamper detection does it provide? How many hosts can be connected to a single HSM? Can the HSM be upgraded at a future point without requiring a return to the manufacturer? 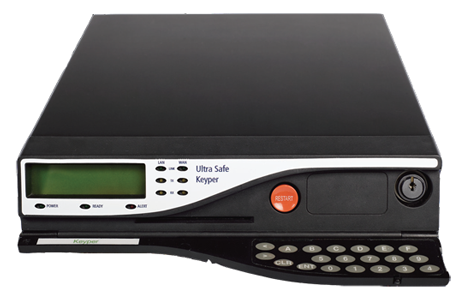 Ultra Electronics AEP Networks has designed the Keyper range of HSMs which offer the ultimate level of protection for the most sensitive data and information systems. 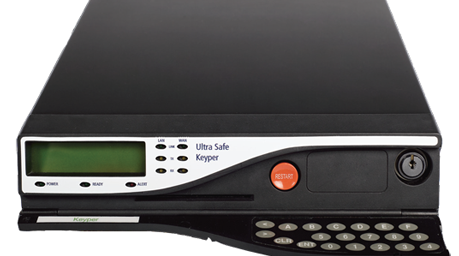 At the heart of Keyper is AEP Networks revolutionary ACCE technology. ACCE is the next generation flexible crypto platform that provides the highest level of assurance – FIPS 140-2, Level 4. Based on this core technology, AEP Networks has built a product range to cater to the PKI, VPN and Web markets. 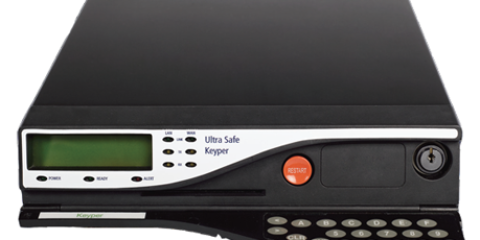 The Keyper HSM is ideally suited to businesses deploying a cryptographic system where the protection of cryptographic keys is a priority, for example, in organizations requiring certificate signing, code or document signing, bulk generation or ciphering of keys or data.